We finally went to Diggerland! We had hoped to go last weekend but had to postpone our plans because of rain. Instead, we went this past Sunday with some friends. While we went because of the boys, I think the adults had just as much fun playing with the construction equipment! 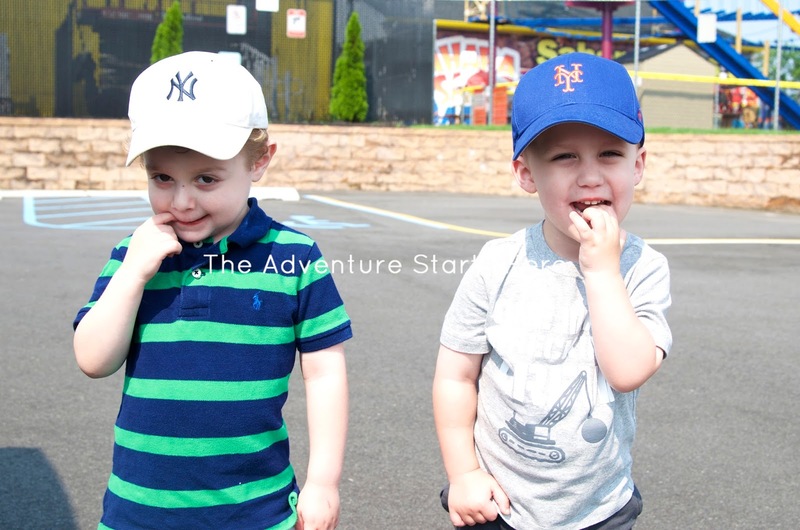 ^^^ we HAD to take a picture of the boys in their rival baseball hats! Upon entering, a worker (who I assume was a manager) suggested we go to the diggers first. 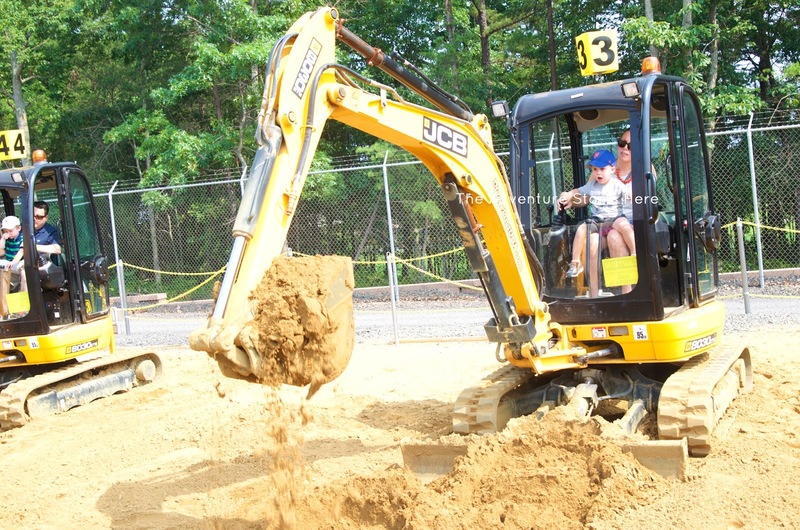 Since they are one kid per digger, the lines can get long as the crowds grow. Thankfully, it never got too busy the entire time we were there. 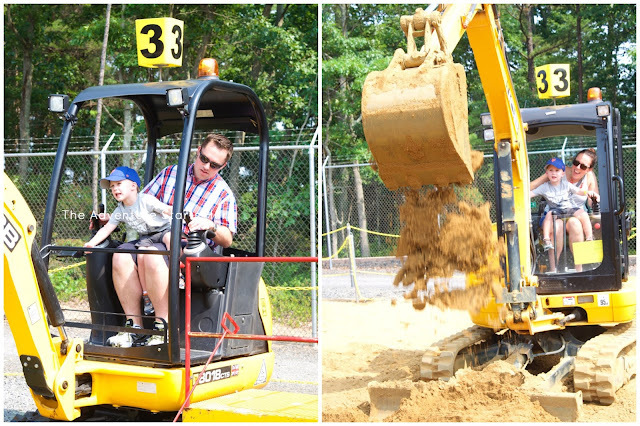 They had three sizes of diggers and Noah went on the small and medium sized ones, but was not interested in going on the largest digger. He played "bowling" and picked up ducks with Chris and he dug up some dirt with me. 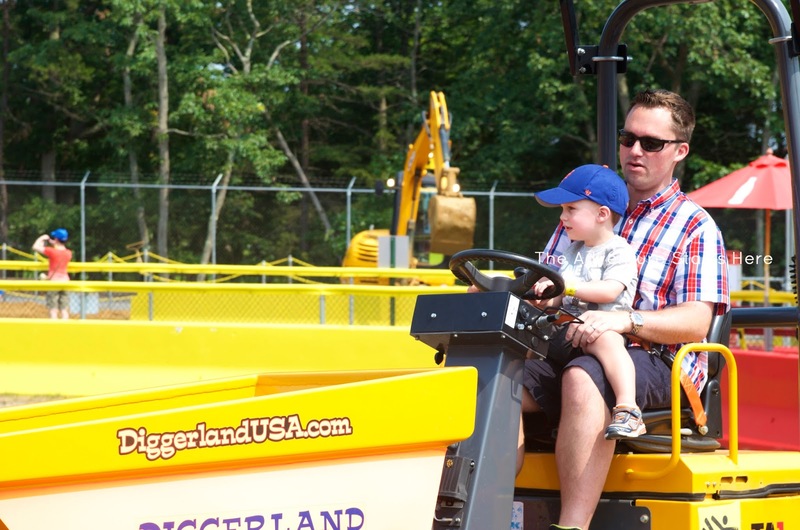 The workers give you a brief explanation of how the controls move the digger and then you are left to it. I have to say that I really enjoyed digging up dirt! 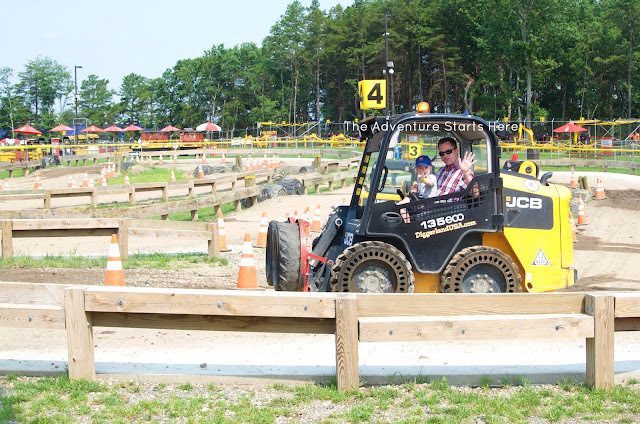 Next, we moved to driving the different trucks. 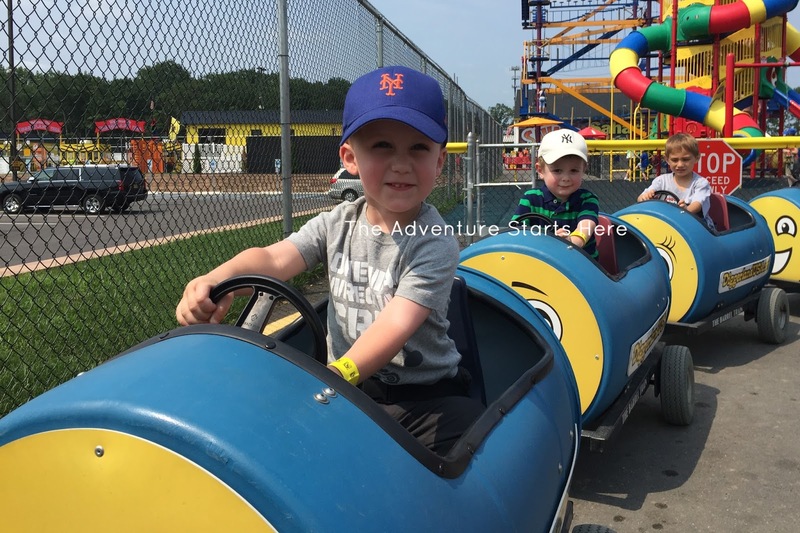 I am not good at the names, but according to the map, Noah and Chris drove the dumper trucks, skid steers, and turnpike tractors. In addition to driving the trucks, we also all got to go as passengers on a super bumpy battle truck, an excavator (that Chris actually got to drive as well), and two "trains". Before heading home, we watched the stunt show where the diggers were doing wheelies and donuts... it was pretty cool! 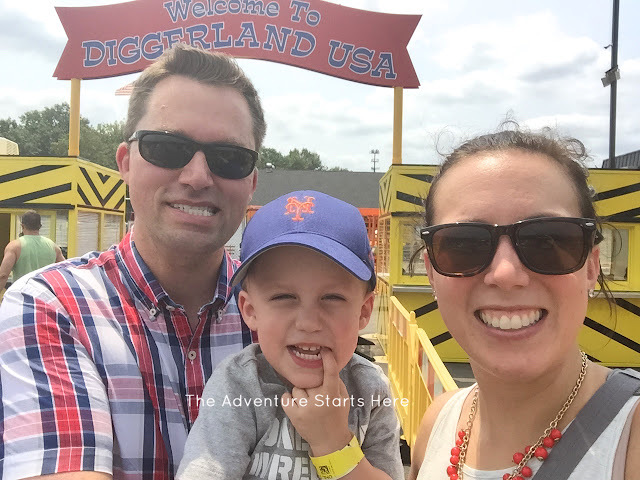 Here are a few tips just in case you want to visit Diggerland USA (in South New Jersey) as well! These are based on the numerous reviews Chris read on as well as our own personal experience. - If your child is under 36 inches, don't go. You won't be able to go on any of the rides. - If you child is between 36 and 42 inches tall, be prepared to go on the majority of the rides and have them sit on your lap. - Look for deals online. 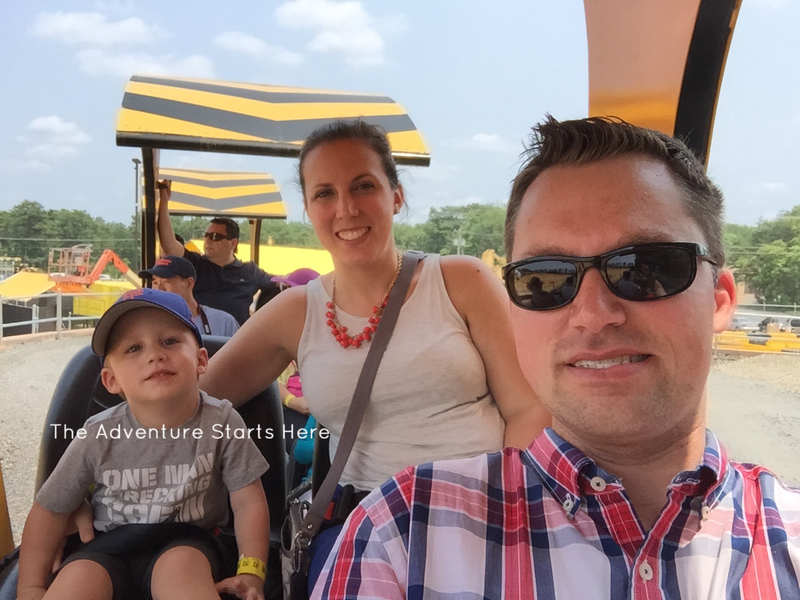 There was a holiday weekend special going on that got us and additional $5 off each ticket if we bought them online before we went. By buying online, we ended up paying $25 per ticket. I've heard you can get that same discount by subscribing to their newsletter. We were also able to buy gift cards online at a discounted rate. We paid $50 for a $65 gift card that could be used on food and merchandise. It was the perfect amount to buy the three of us lunch and ice cream as well as a two souvenirs (a puzzle and small truck) for Noah. 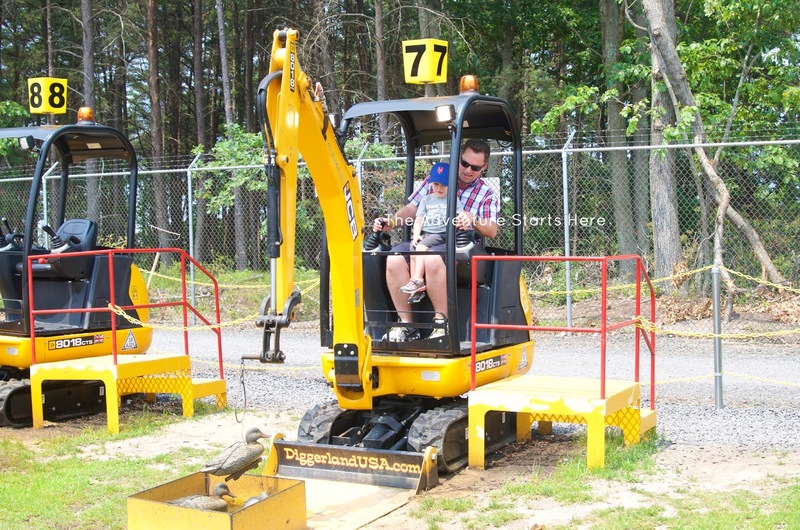 - Try to get there when it opens and start with the individual digger rides by the trees. 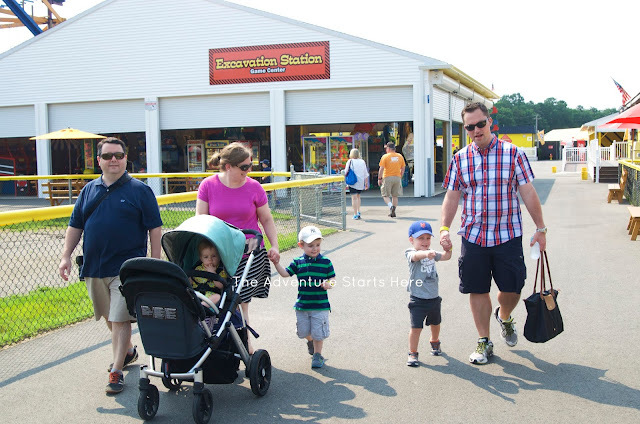 As it gets busier throughout the day, these rides will have the longest lines since only one kid/adult can go on at a time. - There's not a lot of shade, so apply lots of sunscreen and bring hats and/or sunglasses. 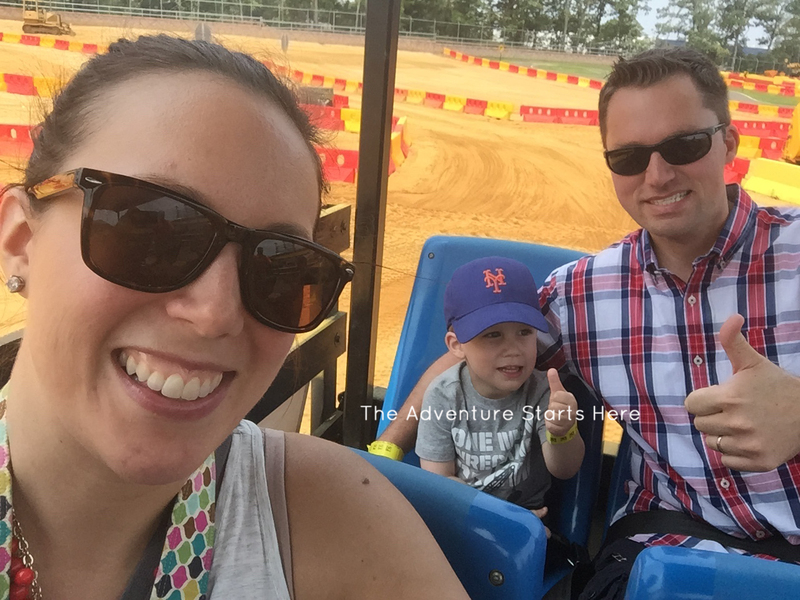 - There's some differing information online about what you can bring in the park in terms of food and drinks. During our visit, we were allowed to bring in 1 bottle of water per person, but no food or snacks. 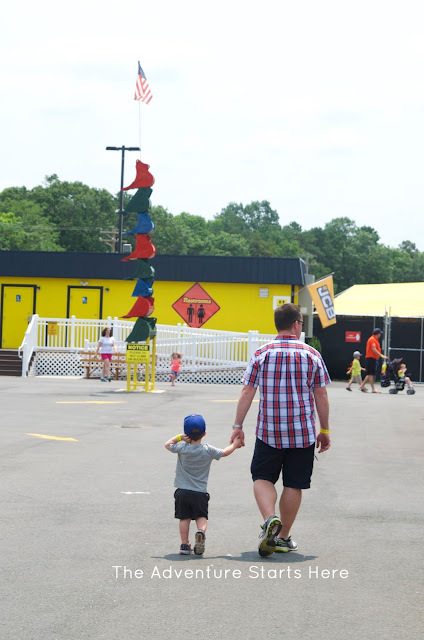 However, once you have your wristband you can leave and re-enter the park as many times as you'd like. 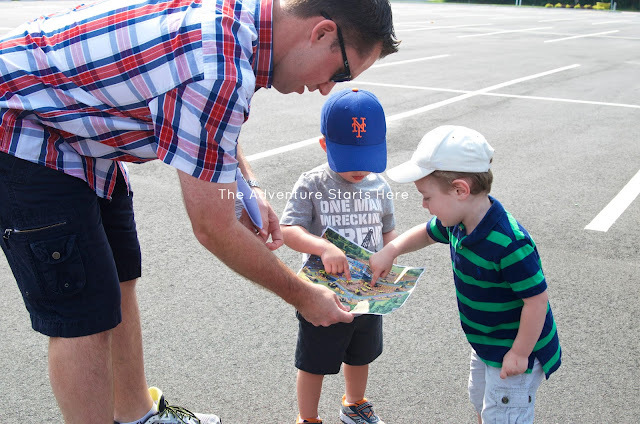 And since the park and parking lot are not large, it would be fairly easy to pack a lunch and eat in your car. We opted to just buy food there for lunch. We found the type, quality, and price of the food to be pretty comparable to most amusement parks/carnivals. - A few reviews complained about the park not having water fountains. We saw two and I (a water snob) was impressed with the taste. 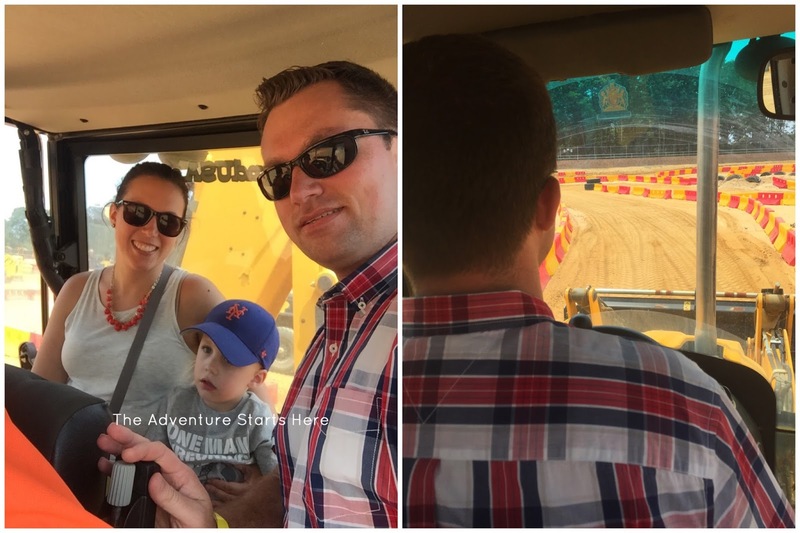 If you'd like to see a video of our day at Diggerland, here's a few highlights from our visit. So much fun!! I realized this is almost 4 hours from my brother, so I'm not sure we'll make it this year, but I would love to try at some point. Here's hoping for a Diggerland #2 somewhere close to our house!! I would definitely love this place. I have always secretly wished to work in construction! oh my gosh, I don't even have kids but i want to go here haha it looks super fun! and it's a good excuse to visit NJ :) that last picture of them hand in hand melts my heart, so dang sweet!! 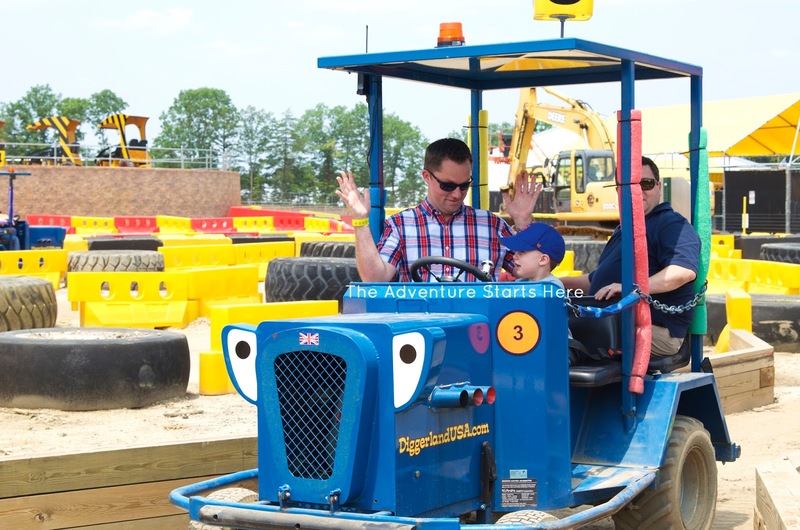 Well diggerland looks like a dream! What an absolutely fun day!!! 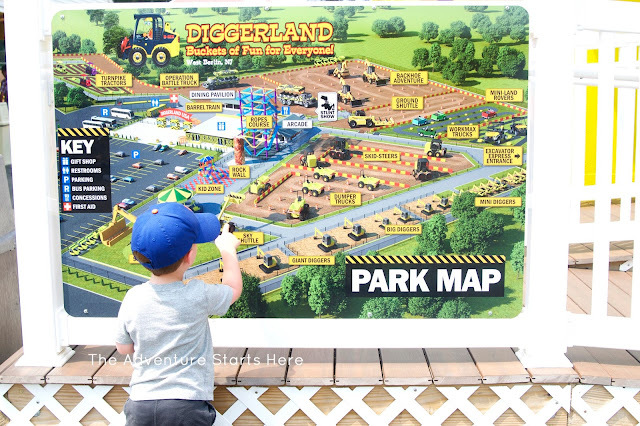 My husband is DYING to go to Diggerland. But we don't have any little kids in our family and he think it would be weird for a grown man to show up by himself lol. Maybe someday he will get there! Glad you guys had fun! I LOVE this!!! I wish it was closer because it looks SO COOL! Oh my gosh, so cool!! I've never seen a place like this. What a neat experience! !